following in the steps of their charismatic leader. After debuting his futuristic multi media show Aether Live in 2009 to successful reviews, Luciano went on to re-ignite Ibiza’s underground nightlife with a free event at the Ushuaïa beach bar which soon turned into the biggest party of the summer. From then on, a Sunday residency at Pacha and the Vagabundos concept was born in 2010, leading him and his colorful gang of beatmakers to become the White Island’s hottest sensation. The Luciano & Friends festivals were featured throughout the summers of 2012 and 2013 at the new Ushuaïa Hotel, and the Origins party at Amnesia rocked the 2014 season. 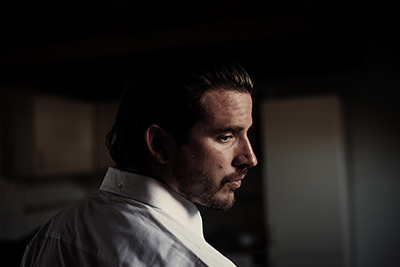 His new label Basaec surfaced in 2014 as well, showcasing Luciano’s first productions as Luciæn dating back to his late teens. With a touring schedule as busy as ever, in summer 2015 after a 2- year hiatus Luciano brought back the Vagabundos party, this time at Space Ibiza, for 17 weeks on Sundays, making it one of the most talked about events of the season on the Island. The Luciano & Friends parties meanwhile moved onto the beautiful location of Destino on Thursdays.